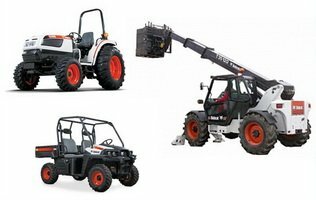 1503101 56 BOBCAT 56 Compact excavator - Parts manual, Operation and maintenance manual, Service manual. 1503102 76 BOBCAT 76 Compact excavator - Parts manual, Operation and maintenance manual, Service manual. 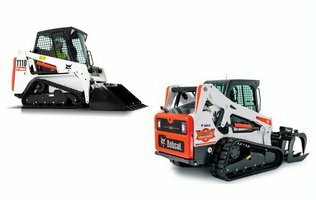 1503103 100 BOBCAT 100 Compact excavator - Parts manual, Operation and maintenance manual, Service manual. 1503105 130 BOBCAT 130 Compact excavator - Parts manual, Operation and maintenance manual, Service manual. 1503106 220 BOBCAT 220 Compact excavator - Parts manual, Operation and maintenance manual, Service manual. 1503107 225 BOBCAT 225 Compact excavator - Parts manual, Operation and maintenance manual, Service manual. 1503108 231 BOBCAT 231 Compact excavator - Parts manual, Operation and maintenance manual, Service manual. 1503109 316 BOBCAT 316 Compact excavator - Parts manual, Operation and maintenance manual, Service manual. 1503110 319 BOBCAT 319 Compact excavator - Parts manual, Operation and maintenance manual, Service manual. 1503111 320 BOBCAT 320 Compact excavator - Parts manual, Operation and maintenance manual, Service manual. 1503112 321 BOBCAT 321 Compact excavator - Parts manual. 1503113 322 BOBCAT 322 Compact excavator - Parts manual, Operation and maintenance manual, Service manual. 1503114 323 BOBCAT 323 Compact excavator - Parts manual, Operation and maintenance manual, Service manual. 1503115 324 BOBCAT 324 Compact excavator - Parts manual. 1503116 325 BOBCAT 325 Compact excavator - Parts manual. 1503117 325 BOBCAT 325 Compact excavator - Operation and maintenance manual, Service manual. 1503118 328 BOBCAT 328 Compact excavator - Parts manual, Operation and maintenance manual, Service manual. 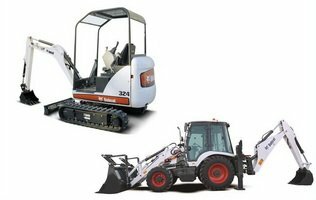 1503119 329 BOBCAT 329 Compact excavator - Parts manual, Operation and maintenance manual, Service manual. 1503120 331 BOBCAT 331 Compact excavator - Parts manual, Operation and maintenance manual, Service manual. 1503121 334 BOBCAT 334 Compact excavator - Parts manual, Operation and maintenance manual, Service manual. 1503122 335 BOBCAT 335 Compact excavator - Parts manual, Operation and maintenance manual, Service manual. 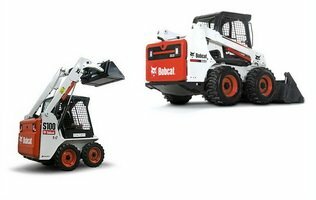 1503123 337 BOBCAT 337 Compact excavator - Parts manual, Operation and maintenance manual, Service manual. 1503124 341 BOBCAT 341 Compact excavator - Parts manual, Service manual. 1503125 418 BOBCAT 418 Compact excavator - Parts manual, Operation and maintenance manual, Service manual. 1503126 425 BOBCAT 425 Compact excavator - Parts manual, Operation and maintenance manual, Service manual. 1503127 428 BOBCAT 428 Compact excavator - Parts manual. 1503128 430 BOBCAT 430 Compact excavator - Parts manual, Operation and maintenance manual, Service manual. 1503129 435 BOBCAT 435 Compact excavator - Parts manual, Operation and maintenance manual, Service manual. 1503130 440 BOBCAT 440 Compact excavator - Parts manual, Operation and maintenance manual, Service manual. 1503131 442 BOBCAT 442 Compact excavator - Parts manual, Operation and maintenance manual, Service manual. 1503132 E08 BOBCAT E08 Compact excavator - Parts manual. 1503133 E10 BOBCAT E10 Compact excavator - Parts manual, Operation and maintenance manual. 1503134 E14 BOBCAT E14 Compact excavator - Parts manual. 1503135 E16 BOBCAT E16 Compact excavator - Parts manual. 1503136 E25 BOBCAT E25 Compact excavator - Parts manual. 1503137 E26 BOBCAT E26 Compact excavator - Parts manual. 1503138 E32 BOBCAT E32 Compact excavator - Parts manual. 1503139 E35 BOBCAT E35 Compact excavator - Parts manual. 1503140 E42 BOBCAT E42 Compact excavator - Parts manual. 1503141 E45 BOBCAT E45 Compact excavator - Parts manual. 1503142 E50 BOBCAT E50 Compact excavator - Parts manual. 1503143 E55 BOBCAT E55 Compact excavator - Parts manual. 1503144 E55W BOBCAT E55W Compact excavator - Parts manual. 1503145 E60 BOBCAT E60 Compact excavator - Parts manual. 1503146 E80 BOBCAT E80 Compact excavator - Parts manual. 1503147 ZX75 BOBCAT ZX 75 Compact excavator - Parts manual, Operation and maintenance manual, Service manual. 1503148 ZX125 BOBCAT ZX125 Compact excavator - Parts manual, Operation and maintenance manual, Service manual. 1503201 B100 BOBCAT B100 Backhoe loader - Parts manual. 1503202 B200 BOBCAT B200 Backhoe loader - Parts manual. 1503203 B250 BOBCAT B250 Backhoe loader - Parts manual. 1503204 B300 BOBCAT B300 Backhoe loader - Parts manual. 1503205 BL275 BOBCAT BL275 Backhoe loader - Parts manual. 1503206 BL370 BOBCAT BL370 Backhoe loader - Parts manual. 1503207 BL375 BOBCAT BL375 Backhoe loader - Parts manual. 1503208 BL470 BOBCAT BL470 Backhoe loader - Parts manual. 1503209 BL475 BOBCAT BL475 Backhoe loader - Parts manual. 1503210 BL570 BOBCAT BL570 Backhoe loader - Parts manual. 1503211 BL575 BOBCAT BL575 Backhoe loader - Parts manual. 1503212 WL350 BOBCAT WL350 Backhoe loader - Parts manual. 1503213 WL440 BOBCAT WL440 Backhoe loader - Parts manual.